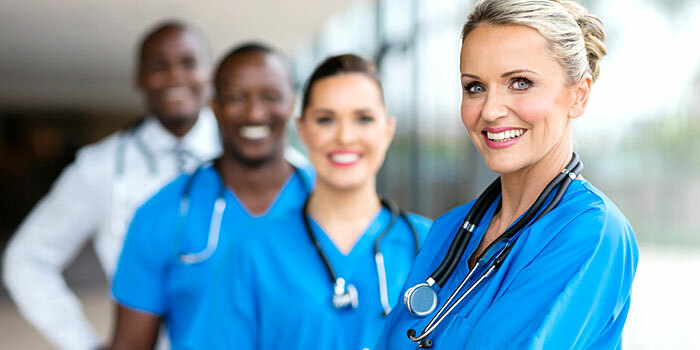 As the healthcare industry continues to witness growth requiring greater numbers of qualified medical professionals and leaders, there has never been a better time to become a nurse manager. According to the U.S. Bureau of Labor Statistics, national employment of medical and health services managers is projected to increase by 22 percent through 2020. To get ready for those opportunities, many experienced floor nurses are taking steps now, such as completing an RN-BSN program and talking with their employer about other requirements. But, what is the story behind the numbers? There are four reasons nurse managers are in high demand today, and it all starts with a growing patient population. The baby-boomer generation is aging, and the results are an increasing amount of patient care needs and healthcare management opportunities. The US Census Bureau report on An Aging Nation: The Older Population in the United States (issued in 2014) found that by 2050, the number of U.S. residents age 65 and over is projected to be 83.7 million, almost double its estimated population of 43.1 million in 2012. As this large population moves into its senior years and remains active later in life, the entire healthcare field is seeing an increase in the need for medical services. With larger numbers of older adults, there will be an increased need for geriatric care and nurse managers to navigate patient care within their healthcare organizations. More often, senior and assisted living centers are also doubling as acute long-term care facilities, as hospitals look to shorten multi-day stays and life expectancies are longer increasing the need for RNs as well as nurse managers. As the baby-boomer population requires more healthcare attention, the increase in patient care needs is compounded by a nurse shortage. According to the American Association of Colleges of Nursing, the shortage of qualified RNs will continue in the foreseeable future, with many baby-boomer nurses approaching their own retirement. Projections show that more than one million RNs will reach retirement age within the next 10 to 15 years. Growing patient populations combined with nurse shortages means that nurse managers will be called on even more to oversee crucial patient care strategies and guide incoming, inexperienced nurses for years to come. As more nurses are required to fill the gaps in patient care settings, nurse managers wear many integral hats related to leadership and development. Nurse managers play a multi-faceted role in helping provide leadership including supervising their nursing unit; collaborating with doctors, hospital/clinic staff and upper management; handling recruitment and retention; being the finance and budget administrator; and acting as a coach and mentor to their nurses. By dedicating time for small group and one-on-one meetings with their nurses, these healthcare professionals lead both new and experienced nurses in their daily patient outcomes and help their teams meet the standards of their larger organizational goals. As younger nursing professionals enter the workforce in the coming years and decades, nurse managers will be vital towards overseeing the level of care and efficiency in growing nursing units. Recently, the healthcare industry has seen a greater focus on preventative care and is moving from pay-for-procedure to a pay-for-performance method of care. Findings from a recent study by Stanford Medicine show that industry experts are leveraging big data to “create a vision of health care that is more preventative, predictive, personalized and precise.” The shift towards pay-for-performance techniques prioritizes healthy outcomes over the amount of tests, surgeries and other medical actions. This change in the national healthcare landscape contributes to the high demand for nurse managers. With a mission to increase patient outcomes while decreasing costs, successful nurse managers will collaborate with their doctor and nurse teammates to determine the best course of action for their patients. Interested in learning more about becoming a nurse manager and pursuing an RN-BSN program? Read more here.